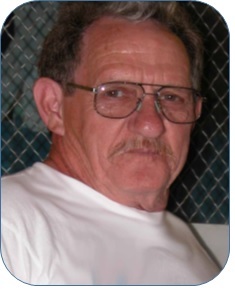 Wilburn "Wayne" Gibson, 77, of Granite City, IL, born November 3, 1940 in Doniphan, MO, passed away Friday, November 24, 2017 at Gateway Regional Hospital in Granite City. Wayne was retired from Sheet Metal Workers Union #268. He was an active gardener and a member of the St. Louis Water Gardening Society. He was preceded by his parents, Joshua W. Gibson and Frona B. Payne; a son, Alan Curless; grandsons, Noah, Noel, Condray and Gabriel Alexander Nash; as well as two sisters and six brothers. Wayne is survived by his wife, Alice M., nee Ethington, Gibson, whom he married on August 25, 1979 at the Family Home; his children, Wilburn W. "Bud" Gibson II of Valley Park, MO, Cynthia Gibson (Larry) Mueller of Troy, IL, Steven R. Curless of Granite City, Jeffrey L. Curless of Festus, MO, Cynthia (Kevin) Pryor of Granite City, IL, and Jane Campbell of Glen Carbon, IL; and his 14 grandchildren and 9 great-grandchildren. In lieu of flowers send memorials to Juvenile Diabetes Association. Services: Celebration of Life and Dinner 5 to 8 p.m. on Thursday, Nov. 30, 2017 at Disabled Veterans Hall, 2400 Century Dr., Granite City, IL, 62040.